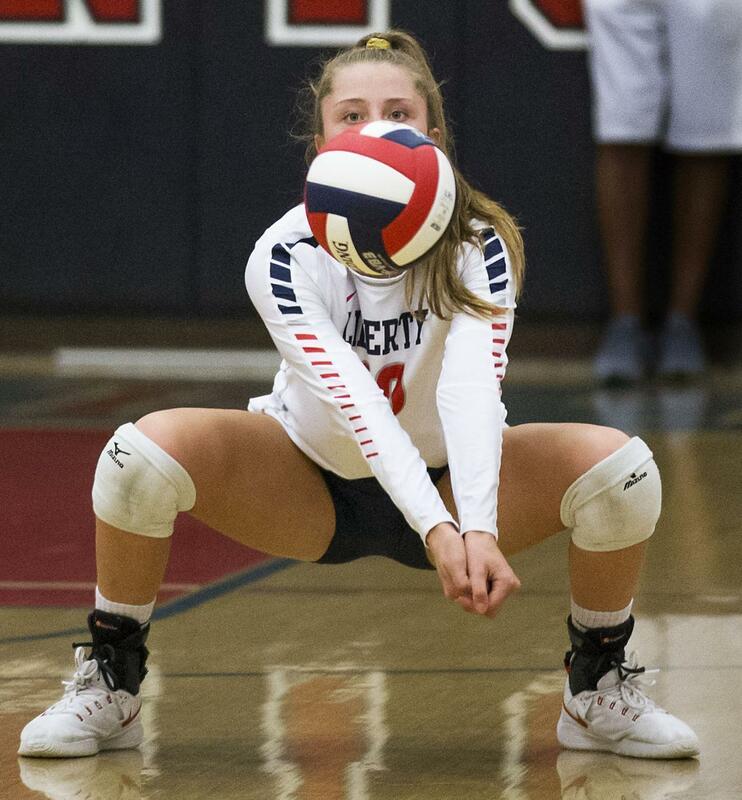 As the volleyball fell to the floor off her block on the final point, Elise Ferreira made an about-face directly towards the Liberty student section. 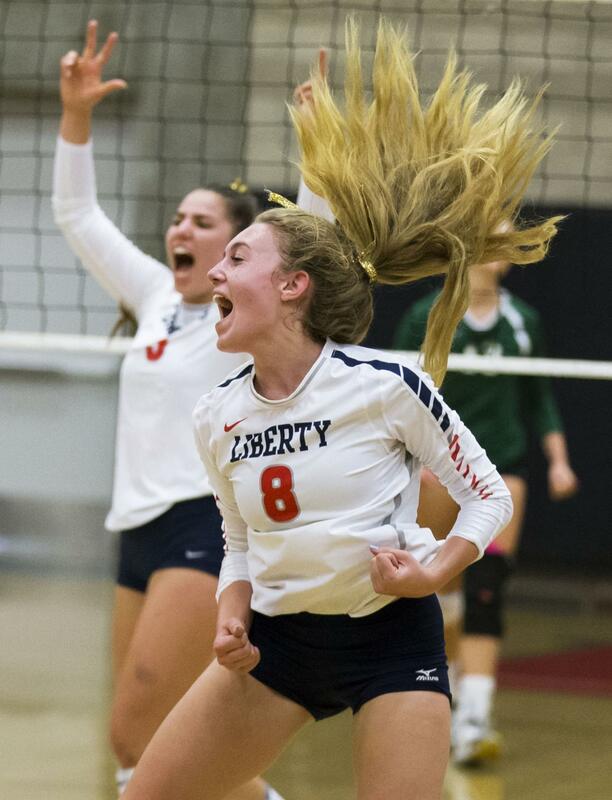 Loud and energetic all night in a Southwest Yosemite League showdown at home against Garces, the Liberty senior knew a large reason the Patriots were able to play so well was because of the support their classmates showed in the sweltering gymnasium on Tuesday night. In large part, that propelled the Patriots to a 25-22, 25-21, 23-25, 28-26 thriller over the Rams. It almost didn’t come to fruition. After the Patriots (11-8, 4-0) took a 2-0 match lead, Garces made a comeback. The Rams (22-7, 2-2) took the third set with Perri Starkey (match-high 27 kills) and Lailah Green (20 kills) leading the way. With the Rams ahead 24-21 in the fourth set, however, Starkey came down after a kill and had her right calf cramp up, forcing the UC Davis commit to the floor and eventually out of the match. While she did return moments later, Starkey's brief absence contributed to Liberty finishing the match on a 7-2 run. Starkey walked out of the gym, but there wasn’t enough mustard or sports drinks in the building to cure the cramps in time. The win for No. 5 Liberty also sets up a road match on Tuesday at No. 2 Bakersfield, which is tied atop the SWYL standings after two weeks at 4-0. While Ferreira led the way with 13 kills, 16 assists, 14 digs and two aces, the senior — who is committed collegiately to Oregon — got a lot of help all over the court. Sophomores Paige Camarillo and Brynna Slayton added nine kills and Slayton also chipped in with nine assists. 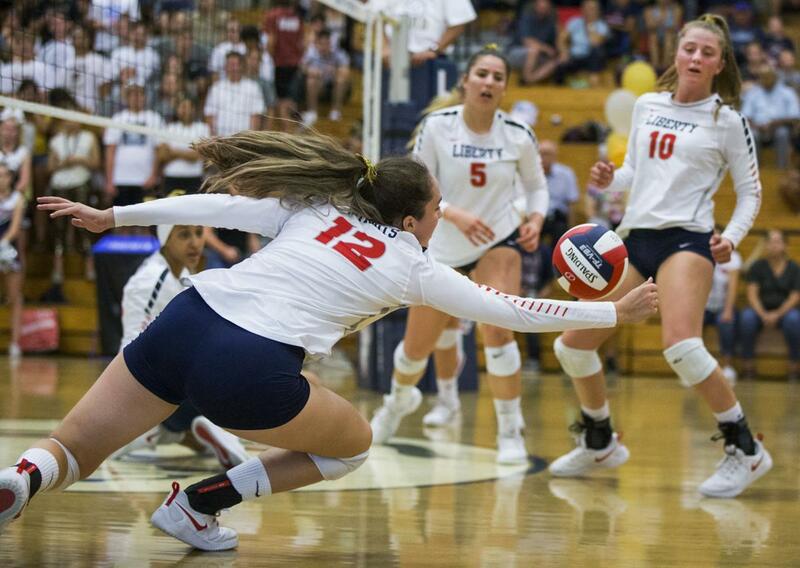 Junior Jaleesa Caroccio led the way for Liberty with 20 digs while sophomore Bree Rodriguez, junior Kaiah Sentes and Slayton each had two blocks apiece. 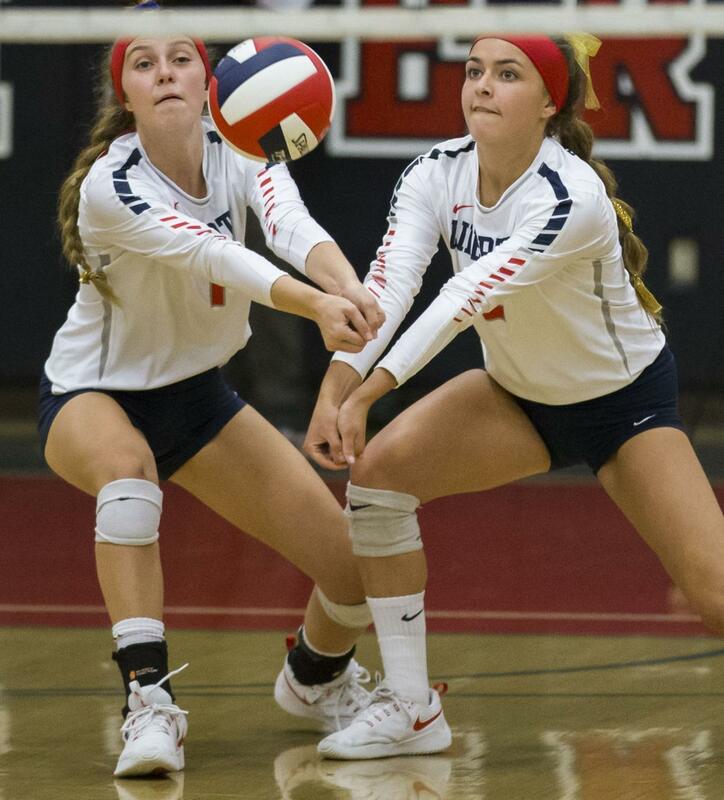 Haley Martin led Garces with 29 assists while Aly Dees had a team-high three blocks as the Rams lost for the second time in three matches following a five-set defeat at Bakersfield High last Thursday.